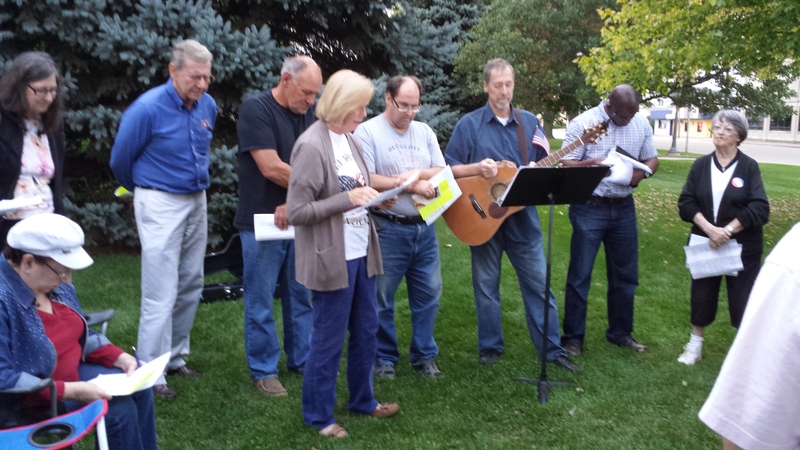 Students met for prayer on September 24 at their schools for “See You at the Pole” events. 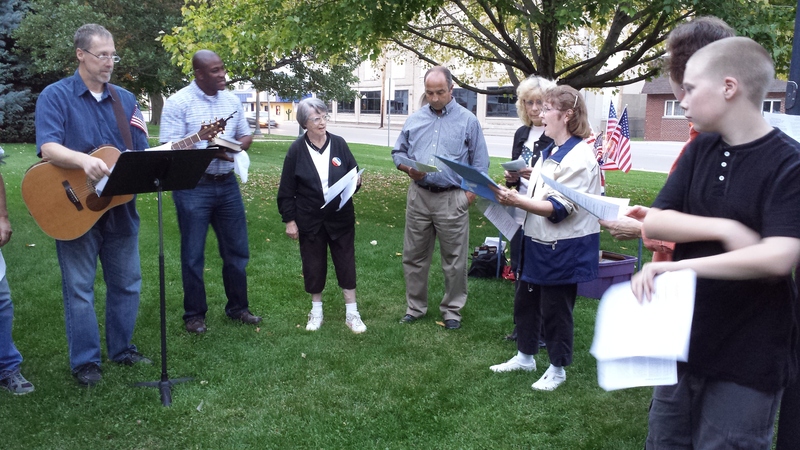 That same evening CWA Clinton, Iowa, Prayer/Action Chapter held our “See You at the Courthouse” prayer vigil for religious freedom. 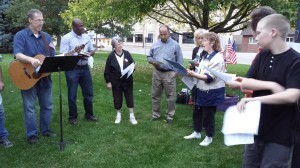 The program included devotional thoughts on intercession and “standing in the gap” for Christians here and abroad. 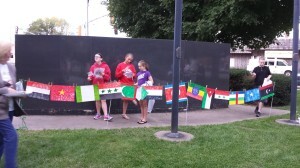 The youth group from Clinton Church of Christ displayed paper flags they made to represent countries where believers are persecuted. 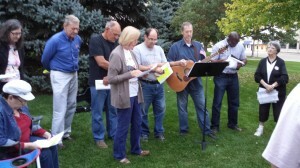 Their pastor, who is from Nigeria, shared a message of an urgent need for prayer and the hope we can sustain in our God to answer.